With summer quickly approaching, many people find themselves rushing to get their bodies “beach ready.” For some, this means giving up on their favorite high-calorie indulgences, such as ice cream and even sugary alcoholic beverages. However, what better time of year to enjoy your favorite beverage (the margarita, of course!) than during the hot summer months? Don’t worry; contrary to what you might believe, you can enjoy a margarita without undoing your fitness efforts. Just try a skinny margarita! Some margaritas are packed with calories because they contain tons of sugar. Not all, of course, but it’s something to keep in mind. Plus – if you’re buying pre-made margarita mixes from your local grocery store, which are packed with sugars and preservatives, the calorie count is even higher. Believe us – fresh margaritas are the ONLY way to go! The key to crafting a delicious, fresh, and (perhaps most importantly) low-calorie margarita, then, is cutting down on the sugar content and using the freshest ingredients possible. If you have a margarita recipe that calls for sugar, or if you’ve been taught to make it that way, a great way to cut down on the sugar (and carbs!) is to substitute a no-calorie sweetener in a margarita recipe calls for sugar. Another fresh and delicious way to sweeten your margarita is by using fresh lime or orange juice instead. Finally, instead of simple sugar, consider using agave nectar in your next margarita. Not only does it taste amazing, but it also has significantly fewer calories than simple syrup. Now that you know the secrets to developing a yummy, low-calorie margarita, we bet you’re ready to try a recipe for yourself. In a cocktail shaker filled with ice, add the tequila, simple syrup, and lime juice. Shake vigorously for about 20 seconds, or until all ingredients are mixed together evenly. Strain into a margarita glass garnished with a no-calorie sweetener or salt, depending on your tastes. Anybody who loves margaritas but cares about their figure knows the struggle of saying “no thanks” to a margarita on a hot summer day. 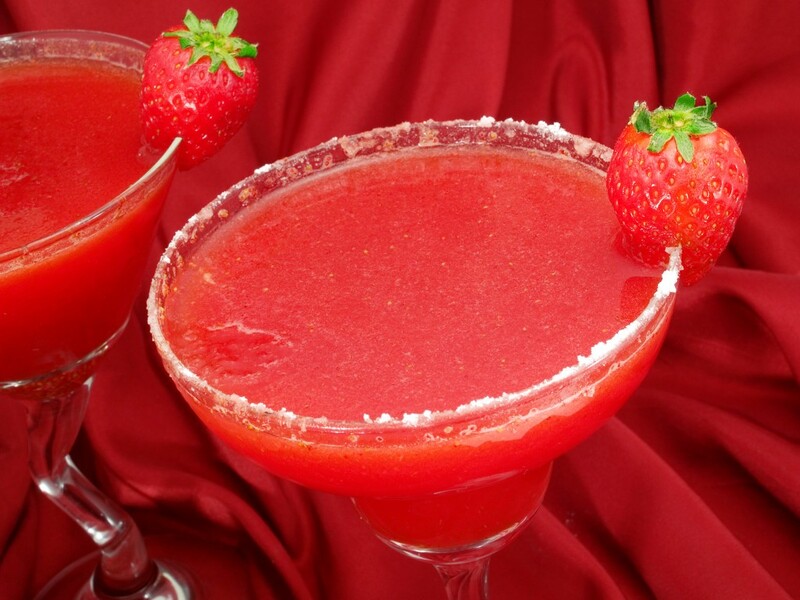 However, with this simple StrawberrySkinny Margarita recipe (which you can customize and tailor to your tastes), you can have your margarita and enjoy it without guilt. For another great margarita that’s lacking the calories, visit your local Macayo’s for our Margarita of the Month for June and try our favorite!